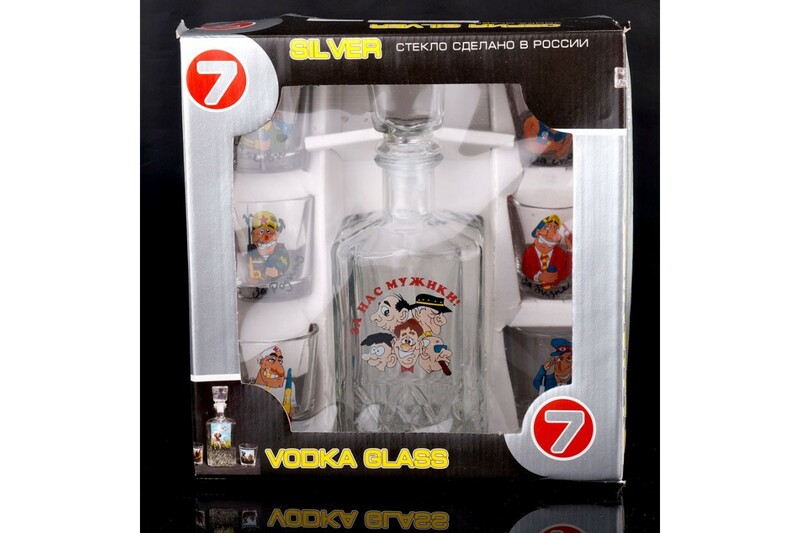 > Посуда с деколью>D / 07 "BARSKY" N 7 subjects "HUNTING"
D / 07 "BARSKY" N 7 subjects "HUNTING"
"The insanely colorful and charming set of glassware, which includes a decanter and 6 glasses, can serve as a reference sample for sales, as well as a faithful companion in drinking establishments. 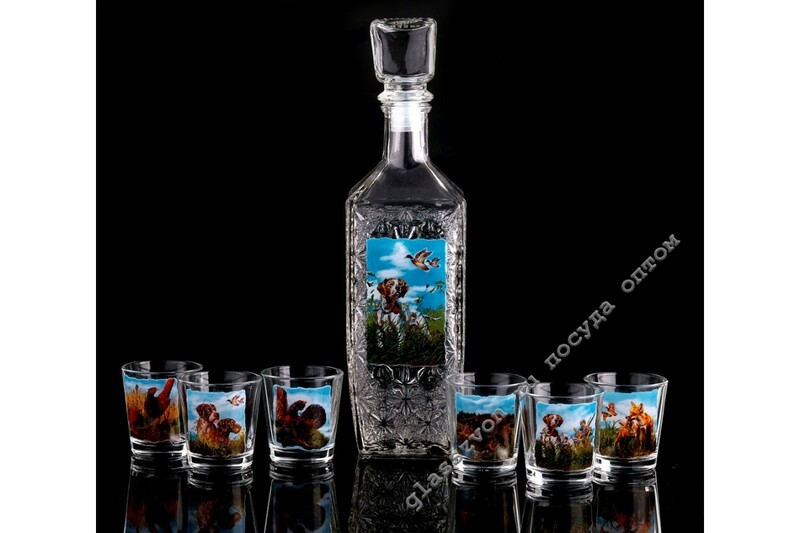 Brilliant and inimitable drawings, put on the products by decals, give the product the most natural and genuine beauty. We are a direct manufacturer of cookware with decal, which allows our company to solve a number of very important tasks. First, the availability of our own capacities enables us to set low prices for products. Secondly, we can easily realize the required quantity of goods. Finally, the company"s own logistics base is capable of delivering goods to anywhere in Russia and the CIS, observing all agreed terms with the client.